Photo - Josef Newgarden celebrated his win at the Grand Prix of St. Petersburg in style. Josef Newgarden celebrated his win at the Grand Prix of St. Petersburg in style. Video - "This was a forceful demonstration, too." "This was a forceful demonstration, too." Video - Racing season is officially back. What a start at the Grand Prix of St. Petersburg! Racing season is officially back. What a start at the Grand Prix of St. Petersburg! Video - Come race with IndyCar. There's nothing quite like it. Come race with IndyCar. There's nothing quite like it. Video - It's technically challenging. It's unforgiving. It requires precision. It's technically challenging. It's unforgiving. It requires precision. Here are the keys to the Grand Prix of St. Petersburg. Here are the TAG Heuer keys to Grand Prix of St. Petersburg. The Grand Prix of St. Petersburg will stream for free this weekend in Canada, Mexico and select markets in Central America and South America. All 2019 races will stream on IndyCar.com in Mexico and select markets in Central America and South America. Give it up for the rookie! In his first qualifying session with IndyCar, Felix Rosenqvist charged out and took P3. Take a ride around Grand Prix of St. Petersburg with Andretti Autosport's ZACH VEACH. Robert Wickens wants to be back in a car one day. It's just who he is. Continuing his dogged and public pursuit of recovery, the Arrow Schmidt Peterson Motorsports driver feeds off the support of the INDYCAR fans and community as much as they love having him back on the paddock. 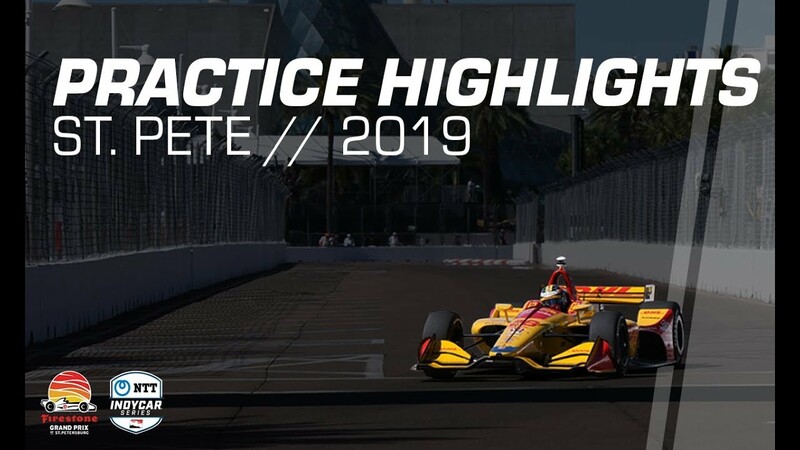 Video - Take a ride with Ryan Hunter-Reay as he rocketed to P1 at the Grand Prix of St. Petersburg. Take a ride with Ryan Hunter-Reay as he rocketed to P1 at the Grand Prix of St. Petersburg. Practice 2 is in the books! Ryan Hunter-Reay picked up where he left off last season, with that win at Sonoma. We're about to go live for Practice 2 from the Grand Prix of St. Petersburg. Come race with us! Video - Robert Wickens speaks at the Grand Prix of St. Petersburg. Robert Wickens speaks at the Grand Prix of St. Petersburg. Video - You won't want to miss this show. You won't want to miss this show. 2018 was a dominant year for Scott Dixon. His title defense starts this week at the Grand Prix of St. Petersburg. Now, Alexander Rossi is back for another run at the Astor Cup. It starts this week at the Grand Prix of St. Petersburg. Let's go. Let us know when you're ready to turn some laps in that beauty, Fernando. Robert Wickens announced last night that he's coming to the Grand Prix of St. Petersburg to support his Arrow Schmidt Peterson Motorsports teammates. We can't wait to see him back in the paddock. Robert Wickens announced last night that he's coming to Grand Prix of St. Petersburg to support his Arrow Schmidt Peterson Motorsports teammates. Video - YES. We can't wait to see Robert Wickens back in the paddock. YES. We can't wait to see Robert Wickens back in the paddock. "Some names are a little different." "Some names ... mean everything." Video - In 2018, he swept May. He won at Gateway Motorsports Park. In 2018, he swept May. He kept himself and Team Penske in the championship hunt all year. Now, Will Power (official) is back for more. And it starts this week at the Grand Prix of St. Petersburg. Let's go. The season begins with the Grand Prix of St. Petersburg on Sunday. Coverage kicks off at 12:30PM ET on NBCSN. Come race with us. ⬆️It's Race Week. Like and share if you can't wait to hear those engines rev once again. Video - SEVEN. DAYS. Until the Grand Prix of St. Petersburg. SEVEN. DAYS. Until the Grand Prix of St. Petersburg. It's the last Sunday of the offseason. To get you through, here's the full 1985 #Indy500 broadcast. Danny Sullivan will be forever remembered for one thrilling moment in this race. The potential Ed Carpenter Racing has always seen in Spencer Pigot started to show at the end of last season. Entering his second full-time season with Ed Carpenter Racing, the driver of the No. 21 Chevrolet believes he can challenge at the front this season. 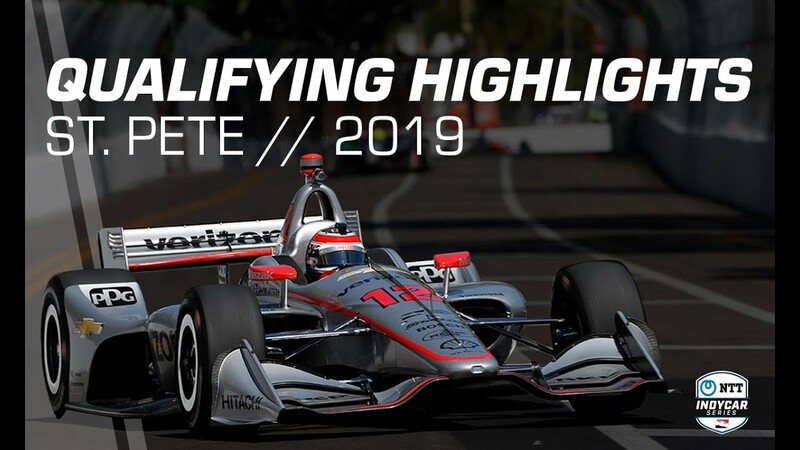 Video - Get ready for the Grand Prix of St. Petersburg with Josef Newgarden's Visor Cam ️? Tune in to Its How You Get There on Saturday for a fun, behind-the-scenes look at our trip to Portland International Raceway last fall. “The time frame for me is irrelevant,” James Hinchcliffe said of Robert Wickens' possible return to racing. “It doesn’t matter if it’s six months or 16 months." Missing the Indianapolis 500 and seeing his teammate and friend seriously injured made last season one to forget for the Arrow Schmidt Peterson Motorsports driver. He's looking to avenge himself at Indy and challenge for more wins this year. Video - Who's ready? Lap 1 is sure to be a show at the Grand Prix of St. Petersburg. Who's ready? Lap 1 is sure to be a show at the Grand Prix of St. Petersburg.